Defining Your Impact: Are Your Clients "Aww Yeah" or "No Way!" - Feb 27, 2019 - Why Berwyn? - Why Berwyn? Defining Your Impact: Are Your Clients "Aww Yeah" or "No Way!" 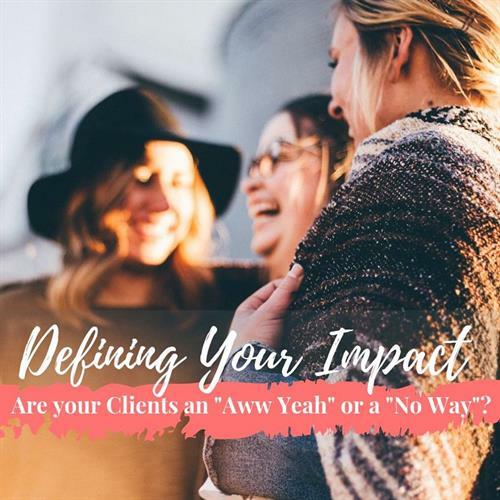 Name: Defining Your Impact: Are Your Clients "Aww Yeah" or "No Way!" This interactive workshop will feature a presentation, small group, and individual work. There are 10 seats available. Refreshments and baked goodies will be provided.